The situation with respect to extreme temperatures actually contradicts not just observations but basic meteorological theory. Figure 5 shows a map of temperatures for North America on February 27th, 2008. Extreme temperatures at any location occur when air motions carry air from the coldest or warmest points on the map. Now, in a warmer climate, it is expected that the temperature difference between the tropics and the high latitudes will decrease. Thus the range of possible extremes will be reduced. More important is the fact that the motions that carry these temperatures arise from a process called baroclinic instability, and this instability derives from the magnitude of the aforementioned temperature difference. Thus, in a warmer world, these winds will be weaker and less capable of carrying extreme temperatures to remote locations. Claims of greater extremes in temperature simply ignore the basic physics, and rely, for their acceptance, on the ignorance of the audience. I haven’t spent much time on the details of the science, but there is one thing that should spark skepticism in any intelligent reader. The system we are looking at consists in two turbulent fluids interacting with each other. They are on a rotating planet that is differentially heated by the sun. A vital constituent of the atmospheric component is water in the liquid, solid and vapor phases, and the changes in phase have vast energetic ramifications. The energy budget of this system involves the absorption and reemission of about 200 watts per square meter. Doubling CO2 involves a 2% perturbation to this budget. So do minor changes in clouds and other features, and such changes are common. In this complex multi-factor system, what is the likelihood of the climate (which, itself, consists in many variables and not just globally averaged temperature anomaly) is controlled by this 2% perturbation in a single variable? Believing this is pretty close to believing in magic. Instead, you are told that it is believing in ‘science.’ Such a claim should be a tip-off that something is amiss. After all, science is a mode of inquiry rather than a belief structure. From the Editors: If you would like to provide a response to Mr. Lindzen’s article to be posted on Merion West, please submit it to to editor@merionwest.com. The author seems to be a subscriber to the notion of alternative facts. He states as fact that 1998 was the warmest ever when that is clearly untrue. Why take the rest seriously? You’re the one we shouldn’t be listening to. He said, “if” he was destroying the assumption. You need to put your glasses on. How about 22 MIT professors against? The author does no such thing. You, on the other hand, missed an “if”. Perhaps William you should take a look at the data directly from NASA and NOAA during and just prior to the very time period you are mocking. Do you actually believe an atmospheric physicist would bungle up this information. In your hurry to attempt to make a put-down, you’ve simply displayed your lack of scientific knowledge. Your refusal to research, read, and learn says much more about you than about Lindzen’s article. How can one have a notion of alternative facts? Seems that it only exists as a term in the mind of ‘fact checkers’. He also thinks there is no link between smoking and cancer. Even took money from tobacco companies to prove it! A shill is a shill, no matter what the academic qualifications. Give him a wide birth. He said no such thing. What he said was that the link was far from proven as the inevitable link proponents have claimed it is. The Money is behind the people who have sued the folks who Earned it.. It’s You who should be given a wide berth. He makes infinitely more sense than the now mega rich Al Gore. Care to provide any factual basis for that claim? Any peer reviewed publications for example? Actually, just asking for peer reviewed publications shows a level ignorance that is unacceptable when responding to this article and many like it. There are a number of reasons including recent research showing the peer review process is completely broken and extremely unreliable. In addition, research opposing the “scientific consensus” has a terrible time getting published in scientific journals because the organizations publishing those journals are dependent on the AGW hypothesis being true. Dependent both financially and to protect the credibility of the political scientists that run those organizations. Really? You want peer review on this? After billions have been paid to underhanded scientists for the purpose of pushing the climate change hoax so they could keep their “research” funded and the money rolling in? Peer review is how “global warming” became the trillions of dollars hoax that it is. Morons seem to think that peer review equals factual. I suppose you realize that you’re guilty of libel. Ross. Would you please direct us to the sources of your claim? No no no that is just the usual alarmist smokescreen of smears and lies, and you’ve swallowed them hook line and sinker. Concerning Linzen and the tobacco industry – I believe this is all based on an analysis he did of a report that claimed to prove that PASSIVE smoking is a significant cause of lung cancer. Note the keywords here, “passive smoking” (not actual smoking), “prove” and “significant”. He was simply commenting on the rigor of the statistics in that report. Furthermore, the WHO (World Health Organization) agreed with him! Erik best comments I’ve ever read. You demonstrate balanced thoughts and are open to both sides of the theory/conspirary :) Just like everybody should be! You can tell a lot about a person by how much they put their money where their mouth is. 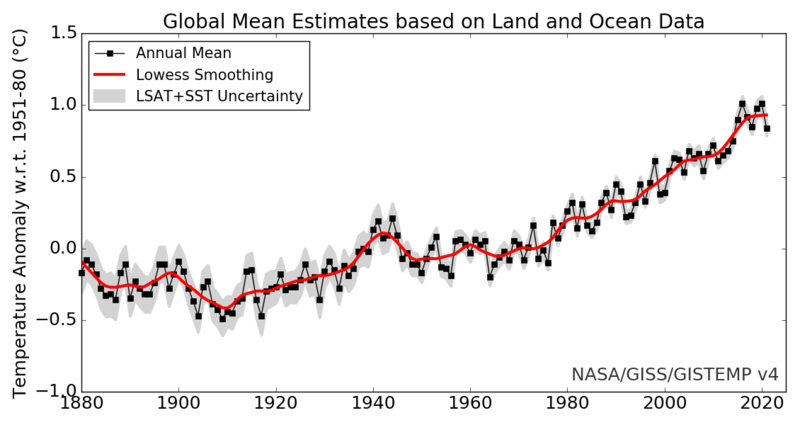 The November 10, 2004 online version of Reason magazine reported that Lindzen is “willing to take bets that global average temperatures in 20 years will in fact be lower than they are now”. However, on June 8, 2005 they reported that Lindzen insisted that he had been misquoted, after James Annan contacted Lindzen to make the bet but claimed that “Lindzen would take only 50 to 1 odds”. I would be inclined to say that the “untruth” is in considering anything significant in the minuscule range of 0.4 degrees with an error range of 0.2 degrees (HALF the measure). They were born *(and raised and educated and trained) that way..
Dr Linzen, I know, in my own very small way, how hard it is to speak out against the current orthodoxy of AGW. I can’t imagine the slings and arrows you’ve had to deflect or absorb but I do want to take a minute to thank you as deeply and sincerely as I can for your willingness to stand up and speak the truth. In the future your name will rank highly in the annals of science for your efforts against this current incarnation of the Tulip Craze. Best of luck to you, sir. I am just a lowly Engineer. I have been studying CAGW since 2007, especially trying to understand the fundamental science for stating the link between atmospheric CO2 increase to a rise in Global Warming. I have yet to find a credible empirical scientific study that states this link in its conclusion. Without that link being established, any money spent on “battling climate change” is wasted. Even worse, it is money used to gain support from the public on any other conclusions the government cabal wants to promulgate.